For those who love their lists and reading about good golf architecture, UK Golf Guy has posted the top ten favorite courses of Mike Clayton, Pat Goss, Alan Shipnuck, Darius Oliver and has more to come. Yours truly turned in his ten and most are probably predictable, but given this is a pure favorites list I had to include a few where I’d just be happy playing. I did not include any course I had a design or renovation hand in. Feel free to post yours below! I was one of three panelists discussing the USGA/R&A distance report for Monday's Golf Central. Mobile responsive design has arrived! And hopefully a few other goodies that will make the site more interactive and fun for all. So what's new besides a better read on your phone or tablet? I hope the new site makes it easy to find the content here however you like to read, whether your arrival is via social media, newsletter, desktop, laptop, or on a tablet or mobile device, the goal is to make it easy to come and go as you please without too much eye strain. My primary goal remains to comment on the best writing or share my own thoughts on the game we love. For some time I contemplated significant format changes and was very close to a starkly different release, but I still prefer the site's "blog" format of scrolling and reading what you please by moving up and down the site with the fewest clicks possible. There is still a quote-of-the-day to set the tone for the day or to bring a little historical perspective. Selfishly, I enjoy digging into my books and files for the old stuff (and you can continue to see an archive of those quotes at this Twitter feed, also linked in the righthand column). You will notice some new additions on the right sidebar. There are Eye On Design videos, with a continued goal to produce more of as the year goes, and fun content from my partners at Golfweek/USA Today Sports, Callaway and The Ringer. Many of you who've been coming here since the site was an offshoot of The Future of Golf know GeoffShackelford.com was created in the early days of blogging, and some of you have been receiving a Feedblitz newsletter listing posts. I'm working on something a little better than that, and for those who like to receive email newsletters, please sign up here. The release of that daily newsletter will be promoted when it's ready. Thanks for your patience! Also, there was one very unfortunate issue in the transition to a new Squarespace 7 site from a Squarespace 5: we were able to get most comments over, but the last few weeks unfortunately have not yet been transferred. You will see I've moved some over manually and will do more in the coming weeks. Still, over 20,000 comments were moved as were thousands of posts and that was a cumbersome task that created a few hiccups, but it was worth the effort and wait. Apologies all around for any lost comments! Finally, the banner has evolved into a minimalist approach with nods to the past, still featuring the first at Rustic Canyon. It's also designed to be friendly to all devices. In the meantime, please sign in and sign up and let me know what you think. Thank you for your support and your patience during the inevitable bumps in the road to a modernized site! We took the putter out to explain for Golf Central why a bunker in the middle of Riviera's 6th works--hint, the short grass around the green really helps! 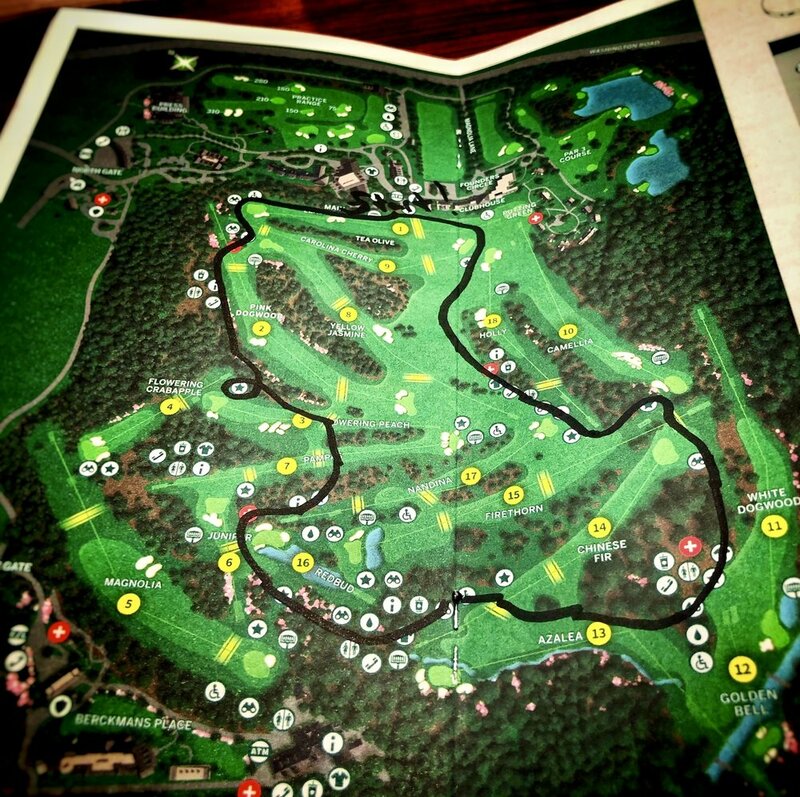 Video: "Players as course architect has been horrible for golf"
It's been a few years since Gil Hanse, Jim Wagner, myself and a fun cast of characters created the Horse Course at The Prairie Club, so it was nice to see the 10-hole par-3 course finally get the drone treatment its setting deserves. Especially now as the game opens its very closed mind to par-3 courses, the concept of H-O-R-S-E golf will hopefully get a little more attention. And given the difficulty of maintaining prairie bunkers, it's especially neat to see how well they've evolved. Thanks Patrick Koenig for the great shots. If you don’t have the Horse Course @theprairieclub in your list of top short courses, you better giddyeup on over to the local horsepital. Yours truly was promoted as the guest on Callaway Live with Harry Arnett this week, but in a bit of television magic (me shuttling to Carlsbad from The Open), I happily step aside for suprise guest Matt Ryan. Not only did he lead the Falcons to last year's Super Bowl, but Ryan is a terrific lover of golf. I think you'll enjoy his discussion of his annual trip to enjoy links golf, how the game helps him retain his flexibility and why it's his off season passion. Video: "Better or worse? Change In The U.S. Open's Identity"
Mark Rolfing, Eamon Lynch, Gary Williams and yours truly debate on Morning Drive if the change to the U.S. Open's identity is for better or worse. Though if the final rounds early winds keep up, we may have been premature in having this discussion! It's not a law firm, I promise! Only a jam-packed ShackHouse this week as Arnold Palmer Invitational winner Marc Leishman joins us to discuss the story behind his new (excellent-fitting) cardigan, his Masters preparation and his background with the Victorian Institute of Sport's Golf Program where he met longtime instructor Denis McDade. Then, shifting toward the WGC Dell Match Play in Austin, we hit up multiple locals starting with Criquet's co-founders Billy Nachman and Hobson Brown. Besides making great clothes merging 70s aesthetics with modern sensibilities, they are also helping lead the fight to save Lions Municipal. Almost as important, they surprised us with a special 20% off for ShackHouse listeners using code SHACKHOUSE at their website. To continue the great Ringer tradition of a podcast host calling his dad for a guest hit, we also talked Austin golf, UCLA basketball and the 2017 NCAA tournament with Lynn Shackelford, one of only four athletes to have started on three NCAA championship-winning basketball teams. This is the 50th anniversary of their first title, documented by Mike Lopestri at NCAA.com. Same deal with Soundcloud for the show, and Episode 30 is here to listen to right now! Now, with this week's match play here is the ShackHouse league where the winner of our WGC Dell Match Play bracketology will get the joy of (A) inevitably beating House and I, and (B) taking home a new Odyssey putter with Microhinge Technology as discussed in the show. As always, ShackHouse is brought to you by Callaway, who debuted episodes of Callaway Live with Jim Furyk, Mike Tirico, Adam Hadwin and this week, Michelle Wie who will be supported by the golf architecture-loving, Hawaiian-born, Isla Vista-reared, California reggae masters Iration. We're also sponsored by Callaway’s new Steelhead irons, so visit CallawayGolf.com to try the Iron Selector tool. Don't forget to join the Callaway Community to get a sneak peak on shows and the chance to submit questions to guests, though that's the least of the reasons to join! I know what you're not thinking, last Christmas he said the ABC Pant is the greatest thing ever created. And now? I still think they are in spite of the steep price. Pure comfort, brilliance and ingenuity. That's where the ABC Pant may be imperfect. Not that I've found Lululemon's pants to fall apart, but I do wonder if they can handle the rigors of repeated use for a golfer. It's that concern about durability that has warmed me to the merits of State Apparel's Fairway Pant as the better golf option. The combination of design cleverness, Made-in-California values and an overall stronger fabric makes them an ideal gift to yourself or a golfer. When I first tried them on, State's heavier and tougher fabric seemed too weighty compared to the Lululemon's. But after trying them out on a course and twice at the range, I realize the toughness stitched into the slacks makes them a better long-term investment for golfers, especially younger players who are more active. Initially the black, almost-velvet black lining of the pockets and cuffs struck me as an odd design touch. But remembering how quickly pockets turned dirty and frayed, the design touch adds a whiff of brilliance that makes you feel good putting on the slacks for golf. You can read the State Apparel story here and here for the explanation about one last pre-shot wiping option. The $135 Fairway pant in white is found on their pants page. Still a blast after all these year(s)! Rod Morri, Mike Clayton and myself decided we'd been away so long that we needed to just catch up on a few topics, vent on a few others and resolve absolutely nothing. Video: ShackHouse On Callaway Live! 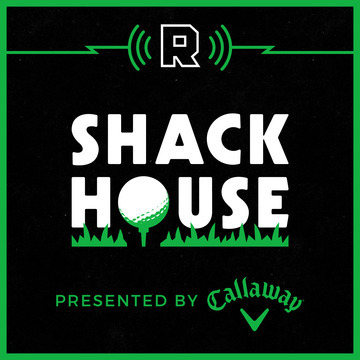 ShackHouse--still the top ranked golf podcast and only top 25 golf show on iTunes--is off this week before we gear up for a busy summer run, so in the meantime House and I talk to Callaway Live's Harry Arnett and Amanda Balionis. Forward Press: Nelson, Irish, Regions, Kingsmill & BMW! We're back after a two week hiatus we return with world No. 12 Patrick Reed fresh off his second place finish in the Valero Texas Open. We discuss his bold play on 18th hole, the wait to hit the shot, his attempt to hole the eagle chip, his desire to make the Olympics, key food insights and more. House and I also kick around the latest in Tiger and Olympic news, along with my criticism of the reaction to the Bahamas boys antics. Here is the Soundcloud link to the Reed show. iTunes link to the Reed episode and free subscription opportunities. And here are the current show pages for iTunes and for Stitcher. And those relying on pushed pods to your mobile device should have it soon. Our presenting sponsor Callaway Golf has launched a Roku app with great content (AppleTV coming soon), including Callaway Live and other goodies. The Callaway community, sponsor of this week's Speed Round, is a must if you're a latest-and-greatest buyer. For those intrigued by Callaway's iron 50% trade-in offer, here's their iron selector page. And don't forget that promo code HOUSE for some MeUndies, this week's sponsor! House swears by them. Tiger's swing as it looks today (Matthew Rudy with help from instructors dissects here).